Enjoy our sandwiches, ​now gluten free! If the store where you do get them is not on this list, PLEASE LET ME KNOW! Seattle Hempfest and Hemp I Scream! Sandwiches, together again! August 17, 18 & 19 at Myrtle Edwards Park. While you're there, see what else we have to offer- too much to list here! Booth 321, near the Hemposium. You can use Double Dutch Chocolate instead of Mocha Mint, they are equally fantastic depending on which you prefer in general. 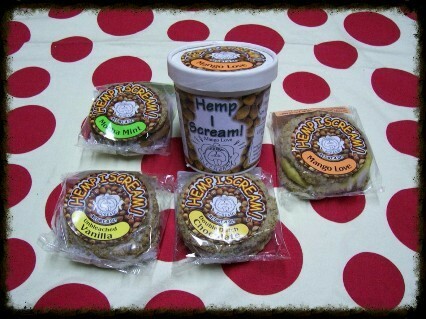 Hemp I Scream! 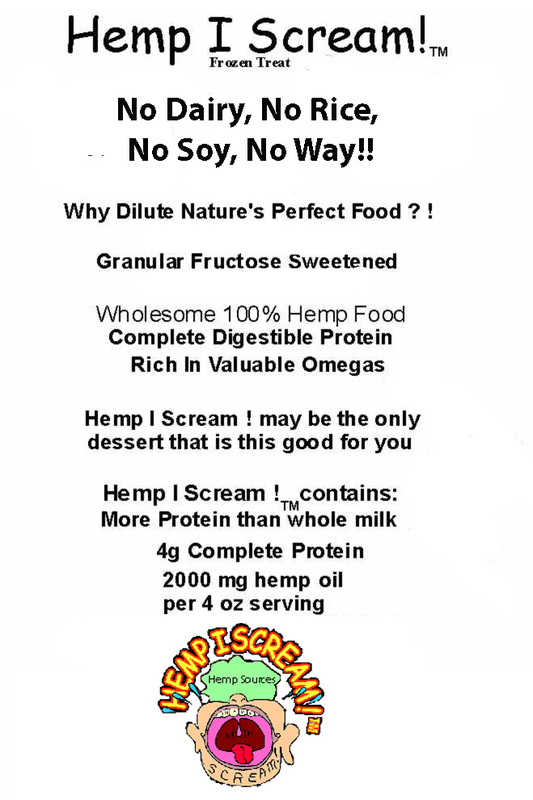 is a vegan frozen confection (free from soy, rice and tree nuts) which comes in five flavors: Mocha Mint, Jasmine Flowers, Mango Love, Double Dutch Chocolate, and Unbleached Vanilla. These can be sandwich, cup, or pint sized, and we are delighted to provide custom flavoring upon order of six cases or more.